We will continue delving into the world of moss and EcoSystems in Vue today. It is a huge world of interesting things to explore, and I’m as usual as excited as a kid on christmas when it comes to exploring new things. So we jump into Cheetah3D and get going. 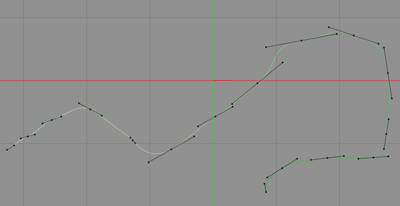 Staring by drawing a Spline. 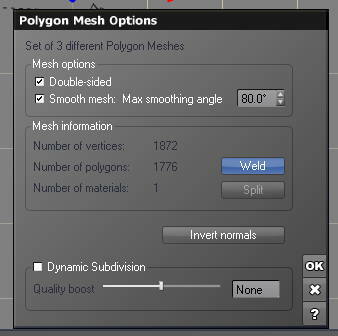 Now we set it to Nurbs from Bezier curves, and the sweep it with a hexagon. 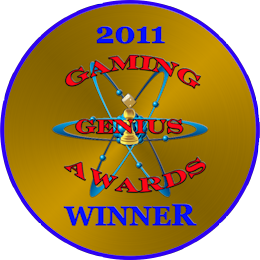 Then I copy rotate and paste this interesting looking object. Then I copy a few more and add them with a different rotation. 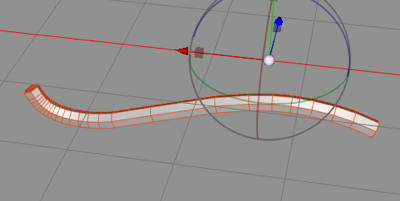 I now make a new Spline. 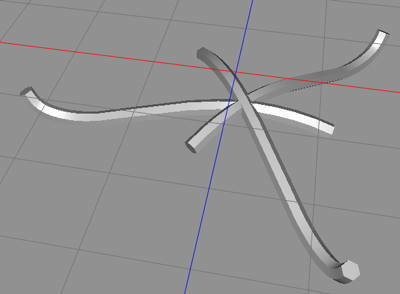 I sweep that with a square, and also set it to Nurbs to make it smoother. 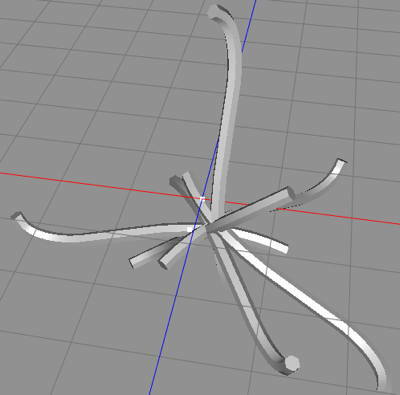 Then I copy/paste and rotate to make this almost alien looking weedy thing. So, export to Wavefront .obj + .mtl files and import into Vue. 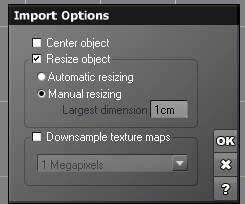 In the import dialog, we set scale to largest part 1cm. When we have imported the object, we Weld it, to make it one object and not every object as a separate object.